Before the third day of our project begins I wanted to quickly update with some photos. 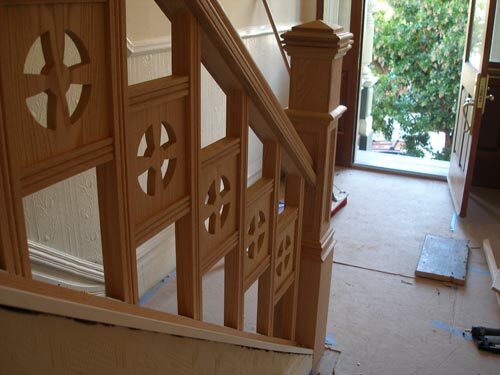 As it stands now the banister is mostly complete. Unfortunately, we dont have enough material to finish a few of the balusters. How did that happen?! Well, there are a number of reasons. The first being we based our measurements off of the neighbors, thinking they would be identical which they aren’t. Our newel post sits further into the room. The second being, we wanted to make our railing a little bit taller. It turns out the neighbors is 33″ tall which is way too low.